I believe I've mentioned it before but I'll say it again. Orange is my color. It does amazing things to my skin. I don't normally notice how colors look with my skin. I've never noticed a difference except when I wear orange. Instant glow. 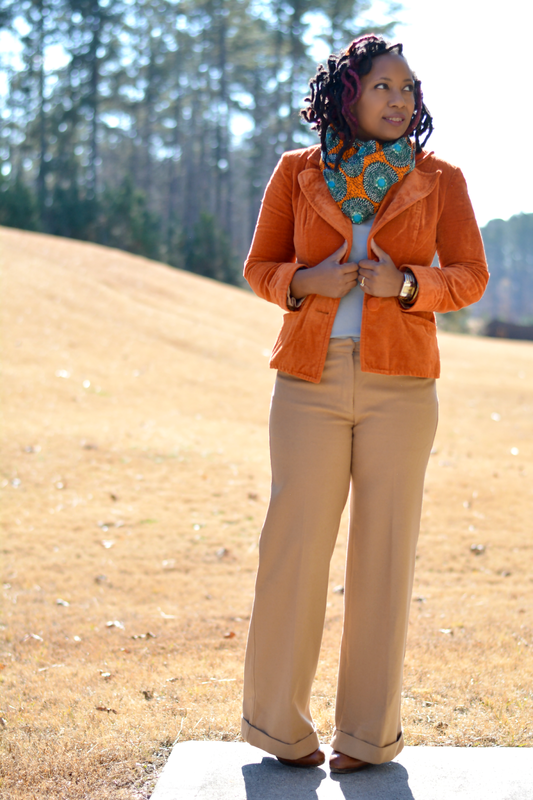 This is my first time wearing the orange blazer. I discovered it in my closet but have no idea where I thrifted it and why it's taken me so long to wear it! 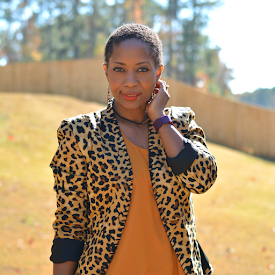 Orange paired with camel, grey, leopard print, chambray, and silver. Word on the street is it's not the color for everyone and that it's a pretty hard color to pair with other colors. Not so. Finding a word to rhyme with orange? That's a challenge! Finding colors to match with orange? Easy peasy. 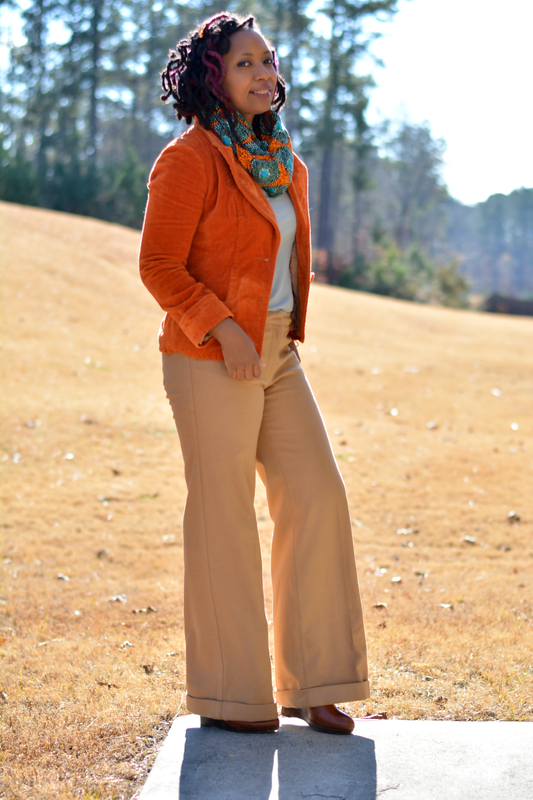 If neutral colors are in your comfort zone, then pairing camel with your vibrant orange is the way to go. Side note: Yes, I am wearing more ankara print today. Black and orange can conjure up images of Halloween so adding grey to the mix breaks it up a bit. It's the 1st cousin of black and perfectly acceptable with orange. For the wild ones, there's leopard print. It's a neutral in my book thus matching pretty much everything in your closet. Adding it to orange just takes the look up an extra notch. When is chambray not a good idea? Chambray, denim, and plain ol' blue all work. Perfect blank slate when you're wearing an orange statement coat. Silver is an unexpected pairing with orange. Gold also works but wear silver when you want to add a little something different to the mix. Give red, purple, and pink a try if you're looking for a bold look with an extra punch of color! 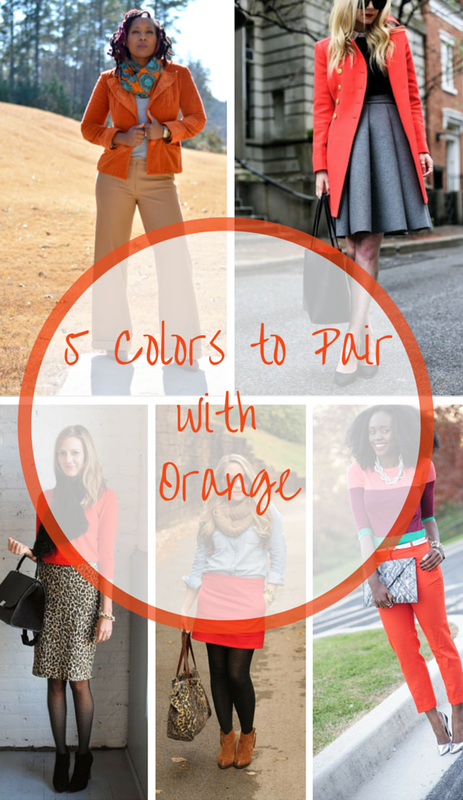 Do you wear orange? What do you pair it with? 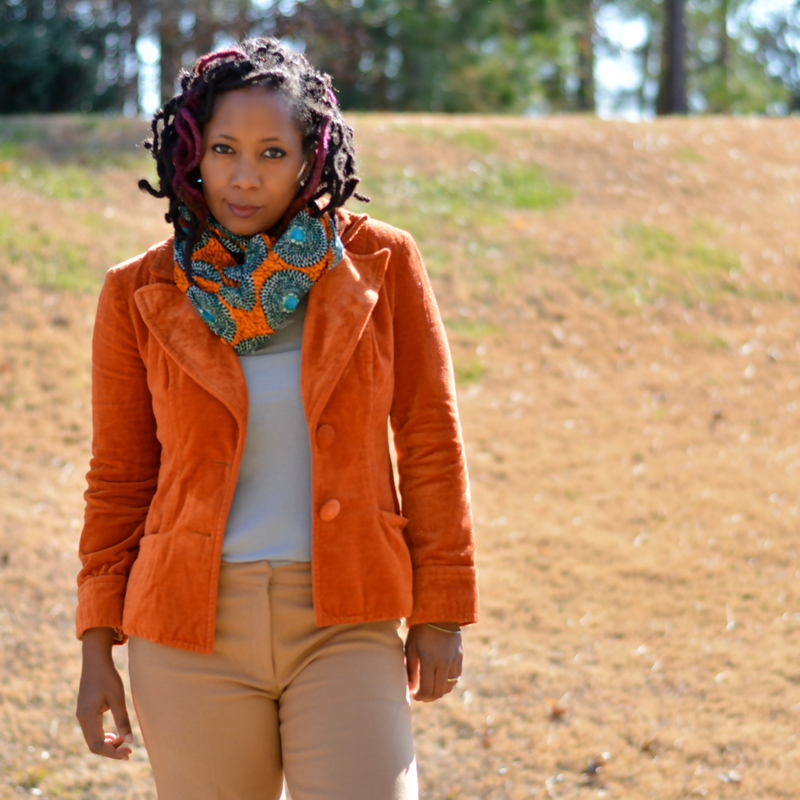 I was recently interviewed for Living Ma'at's Take 5 series. Check it out! I wear Orange, sleep in Orange bedroom and have an Orange[the fruit] every day. You look Radiant in this color and wear it very well. Happy Holidays! 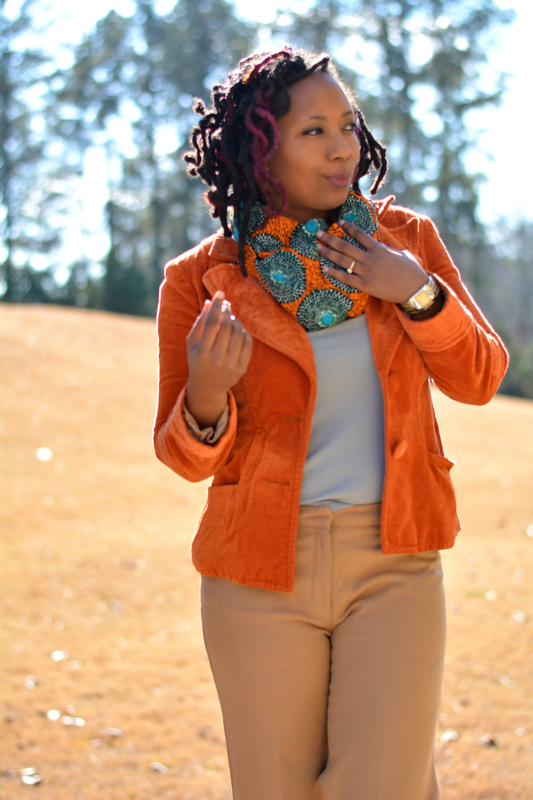 Oh, this orange blazer is just gorgeous! I really like your suggestions of colors to wear with orange. 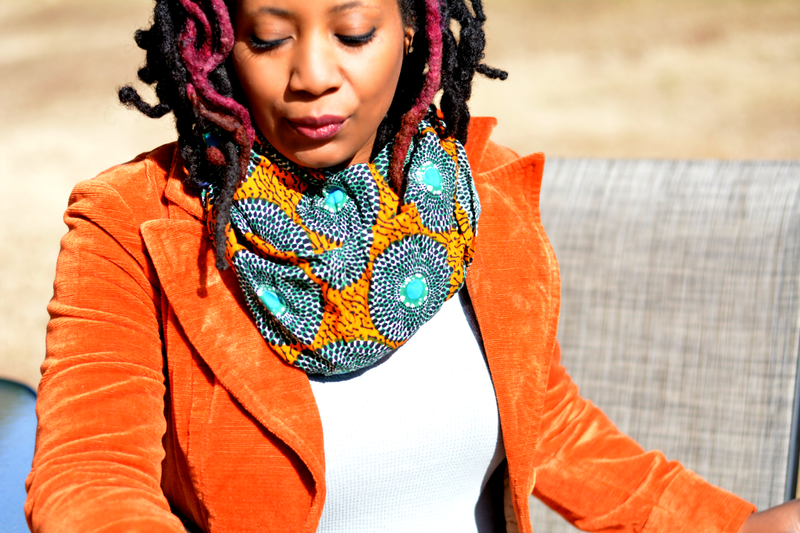 Your pretty scarf is perfect with this look! You are definitely making me think I need more of this color in my life.